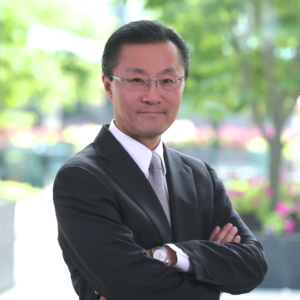 Don H. Liu is executive vice president, chief legal officer and corporate secretary for Target and a member of its executive leadership team. He oversees all legal, corporate governance and governmental affairs matters for the company. Prior to joining Target, Mr. Liu was Executive Vice President, General Counsel and Secretary for Xerox Corporation. In this role, reporting directly to Ursula M. Burns, Chairman and CEO, he was responsible for all of Xerox’s legal and government affairs. Mr. Liu was Senior Vice President, General Counsel and Chief Compliance Officer for Toll Brothers, Inc. and previously Senior Vice President, General Counsel and Secretary of IKON Office Solutions, where he was also IKON’s Corporate Compliance Officer and Chair of IKON Diversity Council. Before joining IKON, Mr. Liu was Vice President and Deputy Chief Legal Officer of Aetna U.S. Healthcare (and its predecessor entity, U.S. Healthcare). Prior to becoming in-house counsel, he worked as an associate at two New York City law firms from 1987 to 1992, specializing in securities and mergers and acquisitions – first at Simpson Thacher & Bartlett and then at Richards & O’Neil (now Bingham McCutchen). He served as a Law Clerk to Justice Stewart G. Pollock at the Supreme Court of New Jersey. His professional affiliations include being a member and the former Chairman of the Board of Directors of the Minority Corporate Counsel Association (a non-profit organization promoting diversity in the practice of law); Vice Chair of the Asian American Diversity Advisory Council and a member of the Executive Committee of the Joint Diversity Council, Comcast Corporation; a member of the New York Stock Exchange Commission on Corporate Governance; a former member of the Board DON H. LIU SELECTION COMMITTEE || of Directors of Association of Corporate Counsel (a worldwide association of in-house attorneys); a founder and a member of the Advisory Board of MoreBank (an ethnic community bank); a member of the Board of Directors of the Connecticut Bar Foundation; a member of the American Law Institute; a former member of the Board of Trustees of Mercy Health System (a Catholic hospital chain); a former member of the Board of Directors of the Asian American Legal Defense and Education Fund (a civil rights organization focused on protecting the rights of Asian Americans); and former Chair of the InHouse Counsel Committee of the National Asian Pacific American Bar Association (a national organization of Asian American attorneys). He is the recipient of America’s Top General Counsel Honor from NYSE Euronext’s Corporate Board Member, the National Law Journal’s America’s 50 Outstanding General Counsel recognition, the Legend in Law Award from the Burton Foundation and The Library of Congress, Inside Counsel magazine’s Transformative Leadership Award, the Connecticut Law Tribune’s Legal Department of the Year – In-House Counsel Management Award, the MCCA/American Lawyer Media Diversity Award, the Edwin Archer Randolph Diversity Award from the Lawyers Collaborative for Diversity, the Spirit of Asian America Award from the Asian American Federation, the Diversity Award from ABA’s Council on Legal Education Opportunity, the Justice in Action Award from the Asian American Legal Defense and Education Fund, the ICON Award from the National Asian Pacific American Bar Association, the Founders Award from the Asian American Lawyers Association of Massachusetts, the Achievement Award from Asian Pacific American Lawyers Association of New Jersey, and the Business Leadership Award from the Korean American Coalition.